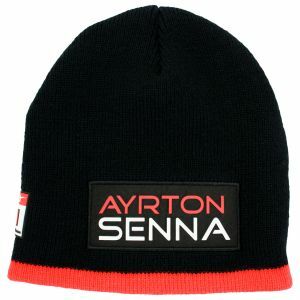 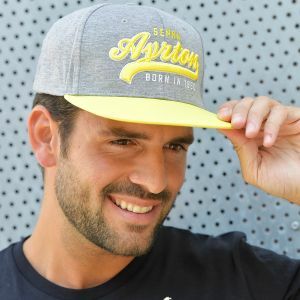 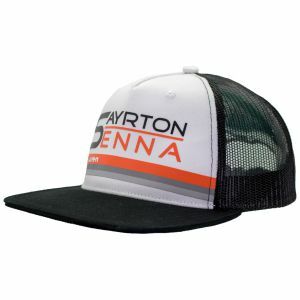 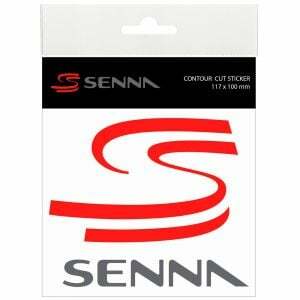 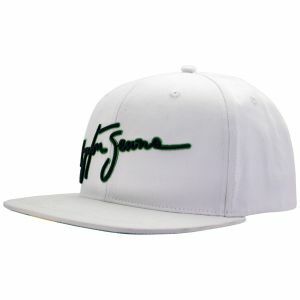 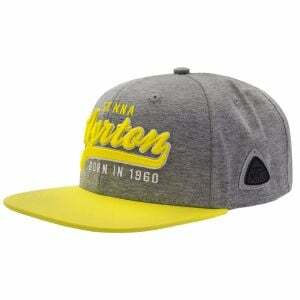 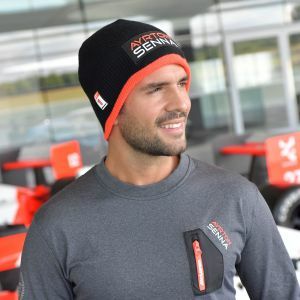 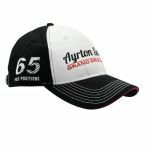 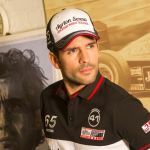 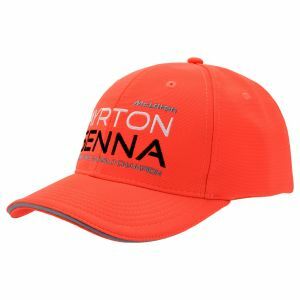 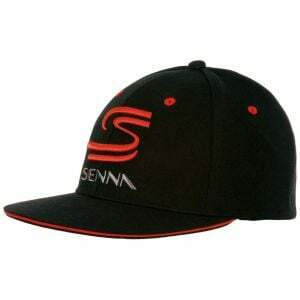 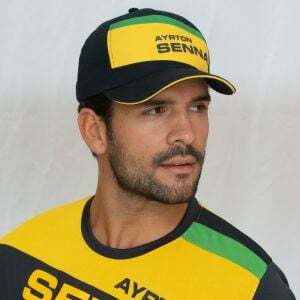 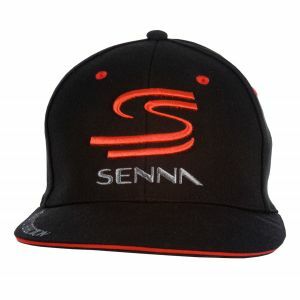 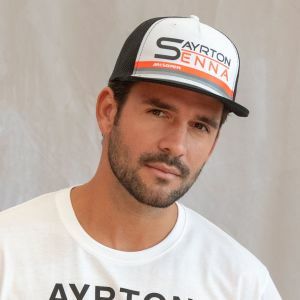 The Cap has the lettering Ayrton Senna Grand Prix Racer stitched on the frontside. 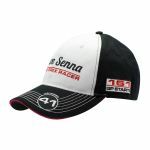 The brim is crested with a stitched 41 victories emblem. 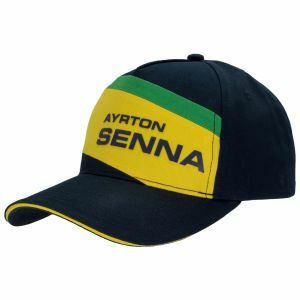 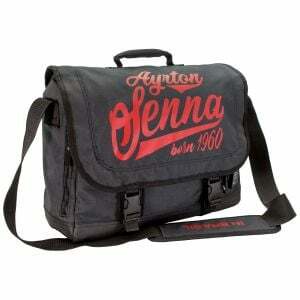 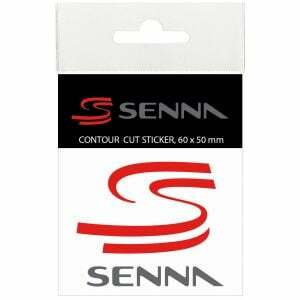 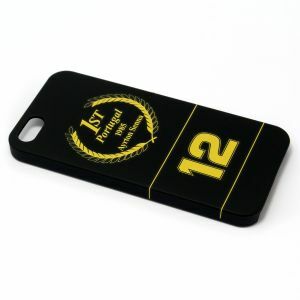 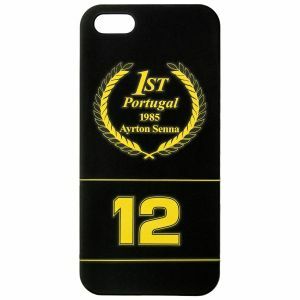 In addition both sides are crested with more of Ayrton Senna's achievements. 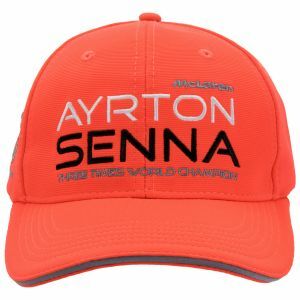 The buckle has his signature engraved.